…and the goose is getting fat. 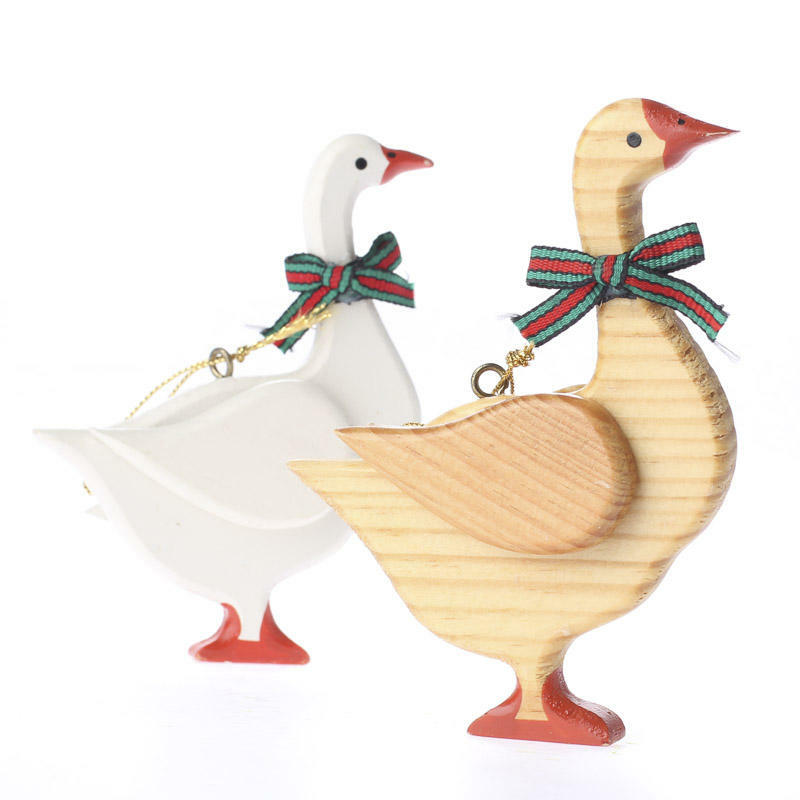 I know, I’ve used this once before, but the image of these little geese ornaments has been on my mind every year since I first saw them. So this year, I’ve tried to reproduce them from some scrap pine that I’ve had lying around, seemingly forever. The woodworking is dead simple, but the painting is something that I still need practice with. Hopefully they’ll pass muster, as each of my friends and loved ones will be getting ‘goosed’ for Christmas. Fun lookin' project, Tom. I'm in the process of making a bunch of the ring & string puzzles that were described in the Daily URL a few days ago. Simple but fascinating little project.